Improving data management is critical for streamlining regulatory reporting, monetizing customer analytics, and democratizing data-driven decision-making. 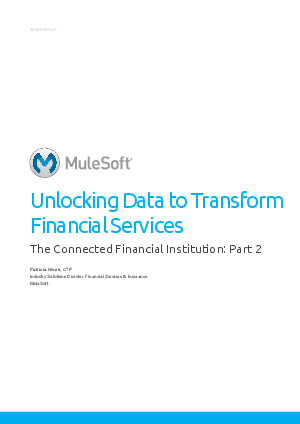 Financial firms must transform their data management approach to unlock data from its silos, incorporate unstructured information from non-traditional sources, and integrate information whether on-premises, in the cloud, batch-based, or real-time. As this evolution continues, technology leaders must consider integration holistically across the enterprise and create an agility layer that is key to future-proofing their data management architecture.